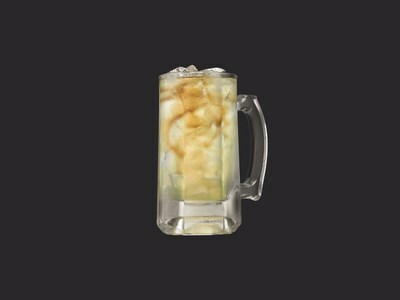 GLENDALE, Calif., Nov. 30, 2017 /PRNewswire/ -- Applebee's® Neighborhood Grill + Bar is winning the holiday cocktail game by offering the new $1 Long Island Iced Tea, better known as the Dollar L.I.T.™, all December. The fan-favorite cocktail is made with a delicious new mix of vodka, rum, gin, tequila, triple sec and sweet & sour mix with a splash of cola. The Applebee's Dollar L.I.T. is available all day at participating Applebee's restaurants nationwide every day in December – for only a buck! 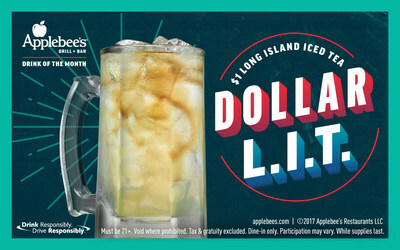 Applebee's Dollar L.I.T. is available all day, every day while dining in at participating Applebee's locations for the month of December. Void where prohibited. For more information on Applebee's Dollar L.I.T., visit applebees.com/dollarteas after Dec. 1 or stop by your neighborhood Applebee's.